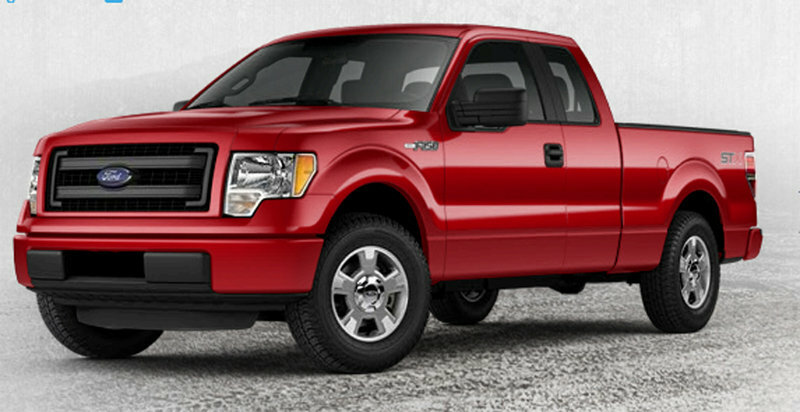 Buying a new vehicle for cheap these days can be a daunting task, especially a pickup truck. As customer demands have grown, so have the trucks’ capabilities and price tags. If you’ve got $50,000 to blow, the options are nearly limitless. But what about $30,000? Or even under that? What kind of truck can be had for less than that magical money ceiling? 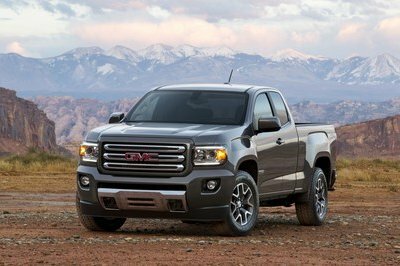 The truck market is a highly competitive one with each automaker gunning to outdo and one-up the competition. This is great for those looking for feature-laden trucks with more technology than the best luxury cars could boast five years ago or tow ratings that seem to compete with Peterbilt and Kenworth trucks. Consequently, prices for these “work vehicles” have become luxury-like in the process. Sure, some buyers need a truck to pull double duty as the family sedan throughout the week while still towing the boat or RV on the weekends. For that purpose, modern full-size trucks in mid- to upper-grade trim reign supreme. Because prices have jumped so high, folks wanting to spend $30,000 or less on a truck only have a few options, consisting mostly of single- or extended-cab full-size trucks or smaller midsize trucks. It all depends on how the truck is optioned out. Those looking to tow will have to sacrifice interior amenities for a larger engine and a towing package. Those looking for interior room will ironically have to stick with a midsized truck that offers a four-door crew cab model. For buyers, it all boils down to how the truck will be used. Evaluating personal use is perhaps the most critical aspect of buying a truck on a budget. 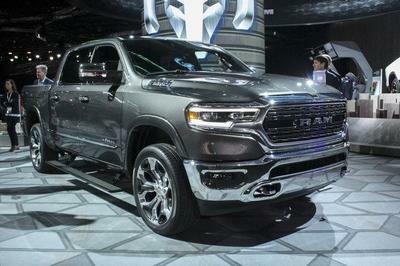 The Ram offers no less than six trim levels below $30,000, though only the base Tradesman trim level offers the extended cab (Quad cab in Ram speak) under our budget. 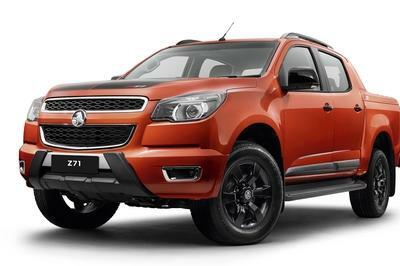 With the though of a usable truck that offers a few extra creature comforts and optional extras. I selected the Express in two-wheel-drive. 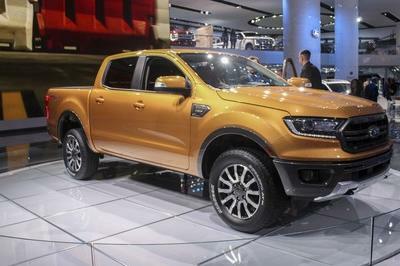 While Ram doesn’t advertise it, this truck is basically a modern-day equivalent to the Ford Lightning sport truck. Equipped with the 5.7-liter V-8, this regular cab lightweight is the sportiest out of our five contenders. I added the Power and Remote Entry package ($735), the eight-speed TorqueFlite transmission ($500), anti-spin rear differential ($325), rear sliding window ($140), trailer hitch ($335), spray-in bed liner ($475), and the upgraded Uconnect 5.0 system that includes a host of interior upgrades and electronic gadgets ($660). 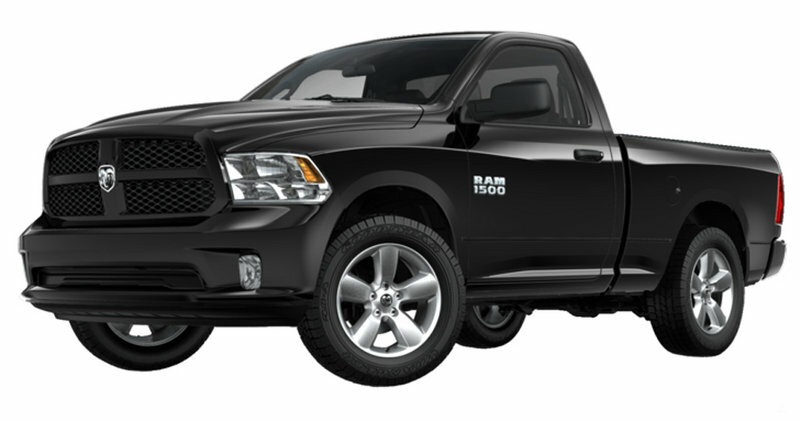 Dressed in black with the standard 20-inch chrome wheels, this Ram Express is ready to haul for only $28,060. 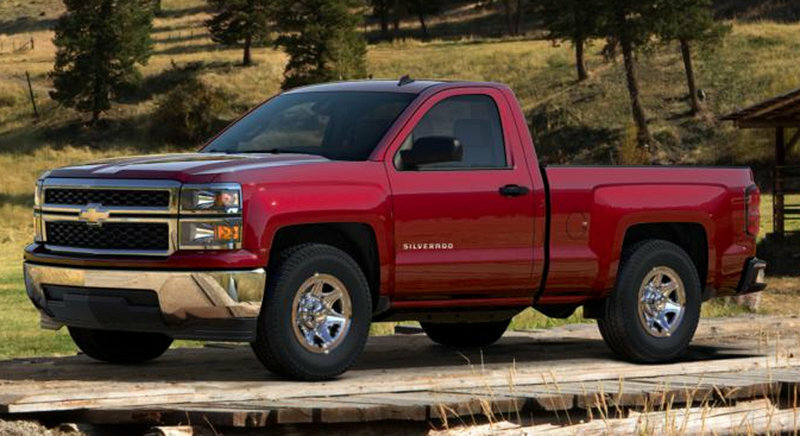 The only way to get a Silverado for less than $30k is in single cab form with either the short or long bed. Staying with the theme set by the Ram Express, I chose the short bed with a base price of $26,670. Selecting two-wheel-drive is necessary, but the upgraded 2WT work truck package is within budget. That includes chrome exterior features and cloth seats, among a few other amenities. Unlike the sporty Ram, 17-inch wheels are standard on the Chevy. For $1,095 I selected the 5.3-liter V-8. Additionally, I chose the automatic locking rear differential ($395), the trailering package ($770), cargo box LED lighting ($60), movable cargo tie-downs ($60), rear window defroster ($175), and the 110-volt AC power outlet within the dashboard ($125). The grand total of this build came to $28,213. There are nearly limitless number of ways to build a Silverado — spending money on exterior add-ons and whatnot — but I chose to spec out this truck with usable items that help get work done while still being able to have fun with some V-8 power. I was able to build the F-150 in two separate configurations while staying under budget. One is admittedly more work-truck oriented while the other is more likely to be found down the street in a neighbor’s driveway. Choosing which options are best all goes back to the truck’s intended purpose. For the work truck, I stuck with the single cab, short bed configuration in XL trim. To complete the workaholic theme, I added the 5.0-liter V-8 ($1,000), E-Locking rear differential with 3.55 gears ($470), and the 101A Equipment Group that adds chrome bumpers, cloth seats, SYNC, steering wheel controls, power windows, doors, and mirrors, keyless entry, and the towing package ($1,360). All told, the MSRP for that build comes to $28,760. On the flip side, an extended cab, short bed STX trim level can be had under budget, but with absolutely no options added. The MSRP for that truck is $29,865. Until now, the numbers have been pretty specific with each truck. 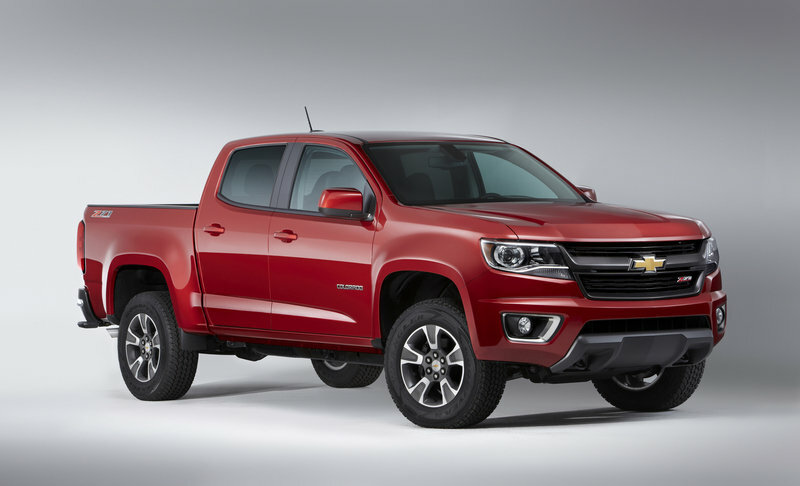 That isn’t the case with the all-new Colorado as General Motors hasn’t release its pricing yet. We’re not even sure what options it will offer. 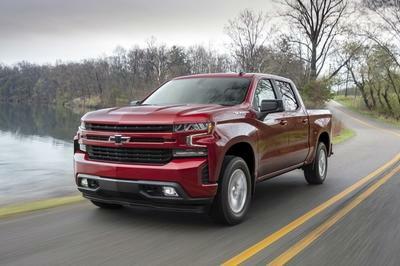 However, Chevy will have to under cut the price of its larger Silverado while competing with the other midsize trucks in the market – namely the Toyota Tacoma and Nissan Frontier. 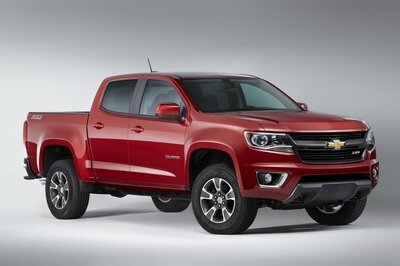 From what Chevy has announced, the new Colorado will be a highly competitive offering with plenty of room in its four-door crew cab setup. The bed is much smaller than a the full-sized trucks, but still offers plenty of room and tons of clever cargo restraints. 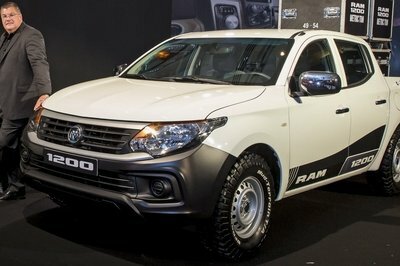 Powering the Colorado will be the base 2.5-liter inline four-cylinder and the 3.6-liter V-6. What’s more, during the truck’s second year of production GM will introduce a 2.8-liter Duramax I-4 Turbo Diesel. The Colorado will likely come with several infotainment options as well, giving buyers the option of bare-bones or touchscreen navigation. The interior will come in either cloth or leather, depending on trim levels. Pricing for the Colorado is expected to start around the $20,000 mark and rise steadily to above $30,000 for the top-line trim level with all the option boxes checked. The Colorado currently has one major disadvantage: it’s not available yet. 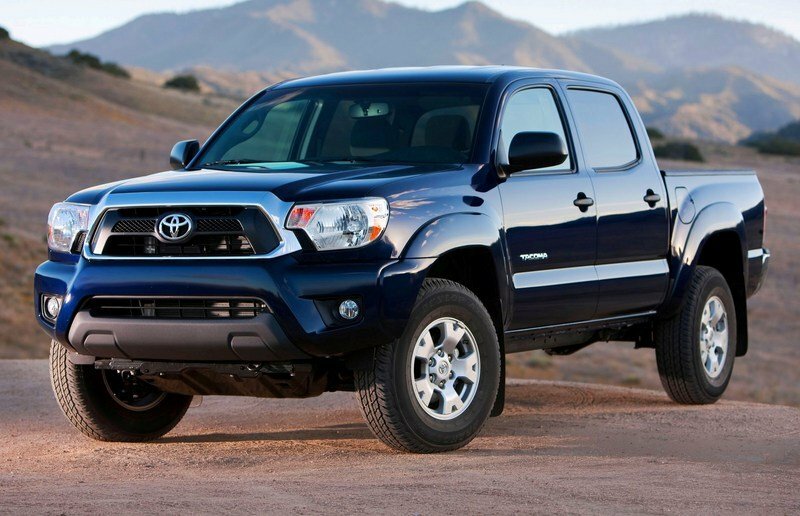 Therefore, the best truck currently available for less than $30,000 goes to the Toyota Tacoma. The Tacoma has long since been the frontrunner in the midsize truck category with only a few competitors to contend with. While the truck is showing its age from almost every angle, the Tacoma soldiers on offering the best bang-for-the-buck in the segment. 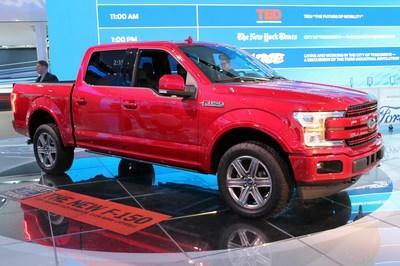 The truck’s base price starts at $17,875 for the regular cab, short bed in two-wheel drive. Yet unlike the other trucks here (presumably excluding the Colorado), the Tacoma can be had in the largest cab, four-wheel-drive, and with the premium powertrain combination. 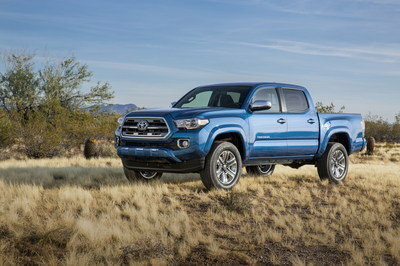 Without any added options, a Tacoma Double Cab can be had for $27,785 with four-wheel-drive and the 4.0-liter V-6 mated to the five-speed automatic transmission. For a mid-range build, I selected the Double Cab configuration and two-wheel-drive with the Pre-Runner package, along with the V-6 and automatic transmission. That left enough money left over to select the SR5 extra value package that included Toyota’s Entune multimedia infotainment system, the tow package, and tons of other niceties inside the cabin. Even though its not four-wheel-drive, I selected the front skid plate for an extra $205. That brings the total to $28,685, including the $860 deliver, processing, and handling fee. All told, there are options out there for choosing a truck under $30,000 — you’ve just got to know what to shop for. Addressing the uses of the truck is intended for is the biggest challenge and the most important task before ever stepping foot on a dealer lot. There’s no use buying a tow package unless you tow, just like there’s no use buying four-wheel-drive if you live in the concrete jungle within a southern state. Keep in mind that prices change and dealers — if they’re hungry — will cut you a deal in order to move inventory, especially toward the end of each month.